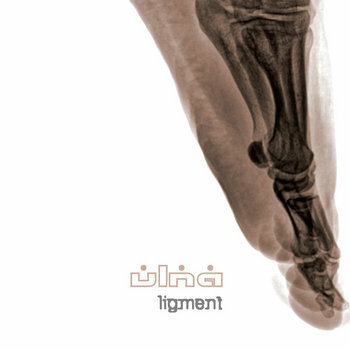 Four years after its stunning debut “Frcture” Italian electronic duo ULNA hits the next level. While collecting a plethora of ambitious projects such as LUMINANCE RATIO, 3EEM, UR or AIRCHAMBER 3 under their belts, VALERIO ZUCCA PAUL (laptop, synths) and ANDREA „ICS“ FERRARIS (laptop, instruments) have sharpened their skills as composers / producers and reshaped something quite unconventional. Very complex yet focused, gloomy, sharp but melodic, “Ligment” meanders from IDM to noisy sounds, from dubby bass to musique concrete, from technoid beats to electro-acoustic collages, revealing influences ranging from AUTECHRE, PAN SONIC or SEEFEEL to musique concrète (PIERRE SCHAEFFER) or even the eerie hauntology of BALAM ACAB. The 8-track album is enriched by guests MARK BEAZLEY (ROTHKO, SIGNALS, STRINGS OF CONSCIOUS- NESS) and BARBARA DE DOMINICIS (JULIA KENT, NICOLA CONTE) who’s also the founder of the EXQUISITE WHAT! collective project.